The Iditarod sled dog race is in trouble. That’s the finding from a confidential report looking into the financial sustainability and leadership of the race’s governing body. Iditarod officials are planning to implement a series of reforms later this year, but not until after the race wraps up in March. The December report was put together by the Foraker Group, and was commissioned by the race’s main corporate sponsors. The Iditarod Trail Committee has received waves of criticism the last few years over controversial new policies, loss of sponsors and a high-profile doping scandal many feel was mishandled. The document was first reported on by blogger Craig Medred earlier this week. In interviews with board members, staff, sponsors and mushers, along with a review of financial documents and policies, Foraker concludes the Iditarod’s relationship with key stakeholders is severely damaged. It finds mushers don’t have confidence in the ITC board. And that without internal reforms sponsors aren’t likely to continue supporting the event. That’s a big threat to Alaska’s premier sled dog race, because most of the Iditarod’s revenues come from corporate sponsorship. The Foraker report notes that the annual event depends heavily on unpaid volunteer labor, and questions whether that model is financially sustainable. The author also says the handling of the recent doping incident exacerbated mistrust of the board among mushers, and gave ammo to animal rights activists, who have long-criticized the event and pushed sponsors to drop support. 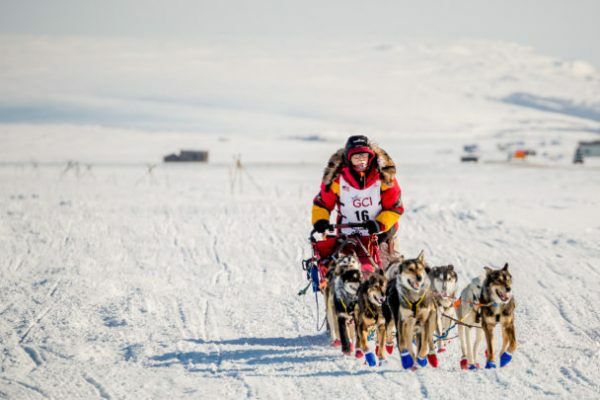 Through its public relations firm Iditarod officials declined a request for an interview. But in four pages of comments sent to Alaska Public Media, ITC’s board commits to making reforms that will make the race viable long-term. The document is an extensive list of policy changes they are planning. Some are quite general, such as improving communication with sponsors and mushers. Others are extremely specific, like finding a plan to replace board members with clear conflicts of interest before this summer and annual review of race rules.